The International Labour Organisation estimates that there are nearly 25 million people working in forced-labour conditions worldwide, and 47% of them in the Asia-Pacific region. The kind of work where there is known to be forced-labour varies, but many are engaged in work that contributes to products for food and beverage e.g. forced-labour in countries where sugarcane is produced. A KnowTheChain (KTC), a partnership founded by U.S.-based Humanity United, showed that most food and beverage companies could be doing more solve the problem. As part of a new partnership, Coca-Cola has now committed to conduct 28 country-level studies on child labour, forced-labour, and land rights for its sugar supply chains by 2020. Blockchain’s validation and digital notary capabilities are being used in the new project to create a secure registry for workers and their contracts. The project, involving Trust Accelerator (BTA), a non-profit organization, the US State Department, Coca-Cola, and U.S.-based Humanity United, will use blockchain to create a validated chain of evidence that will encourage compliance with labour contracts. US tech company The Bitfury Group, will build the blockchain platform, while Emercoin will provide blockchain services. Earlier this month it was reported that blockchain is also being used in a pilot project between car-maker BMW and start-up Circulor with a view to eliminating battery minerals produced using child labour. In that project, blockchain is being used to help provide a way to prove that artisanal miners are not using child labour in their cobalt mining activities. Bags of cobalt are given a digital tag which can be entered into blockchain using a mobile phone. 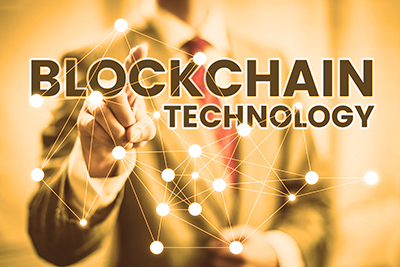 The details of the digital tag can then be entered by each link in the chain of buyers, thereby providing a clear, verifiable trail, all the way from miner to smelter. The new project involving Coca-Cola is another example of how blockchain is being used to ethically add value, genuinely reduce suffering and exploitation, and shows how this new technology can deliver social impact. One of the strengths central to blockchain is that it offers an incorruptible and transparent system that can provide a much greater, and more reliable level of proof that something has happened in the correct way in a value chain. Many different types of businesses can use blockchain to categorically prove a certain source and route for e.g. delivery, raw materials or production. This is proving to be particularly valuable to businesses where provenance is necessary to add to the monetary, ethical or other value of a product, service, and brand. First Direct’s move to voice-activated payments follows the move by Barclays last August to allow its customers (with an Apple device with iOS 10 software or above, with fingerprint technology) to make payments using Apple’s voice-activated assistant, Siri. Dutch banking group ING Netherlands are widely credited as being the pioneers of this kind of system when, back in 2014, they launched a voice-navigated banking app with a view to enabling biometric voice recognition as a replacement for PINs in the future. In the case of First Direct, the Siri digital assistant acts as an interface between the customer and the Paym mobile payment system. Paym is the service, launched by the Payments Council, that allows users to send and receive payments directly to a current account using only the mobile number of the account holder. With the First Direct system, users simply tell Siri what amount they would like to pay, and the name of the person that they would like to pay using First Direct. The system then asks for verification using the fingerprint scanner or face ID tool on the payer’s mobile device. It has been reported that the money is then transferred instantly, and First Direct customers can make transfers of up to £350 daily using the new system. Clearly, to use the system you will need to be registered for digital banking with First Direct. You will then need to activate Paym in the First Direct app, and make sure that you are using an iPhone that is capable of fingerprint or facial recognition so that your payments can be verified without a password. 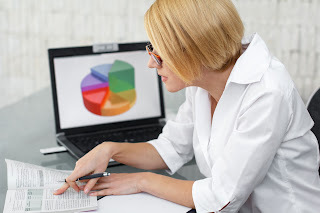 For businesses, saving time and getting cash quickly into the business are important, and the First Direct system looks as though it is capable of helping both these things to happen. It also offers your business, suppliers, and other stakeholders a convenient way of paying while on the move. 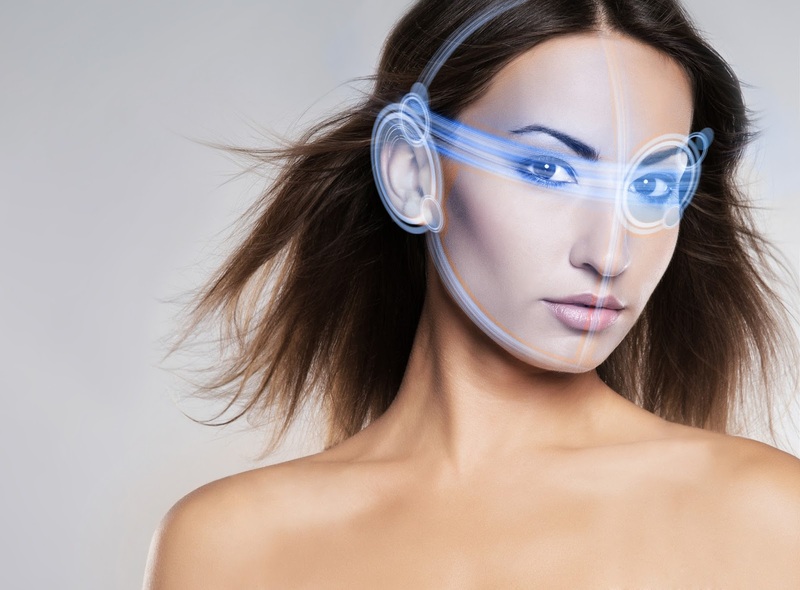 Also, the biometric aspect (fingerprint or facial recognition) is believed to provide greater security than passwords. Voice-activated assistants have proven popular with users, and it makes sense that they could be linked up with other technologies and systems to deliver greater value, convenience, and time savings. It is likely that other banks will now follow suit, and voice-activated assistants will be linked-up to a whole range of other services in the near future to benefit the business and the customer. A further example of the possible impact of Brexit on AI and robotics in the UK comes from an RSA report from late 2017 which showed that the UK receives up to 80% of its funding for autonomous systems and robotics directly from the EU, and even with the government's Autumn statement promise of a boost to R&D, it may not be enough to plug the funding hole that Brexit will create. The company has described the hack as ‘low level’ and has stressed that no money was stolen, and that the attackers only saw limited information. Camelot attributed the early discovery of the attack to its regular security monitoring which, in this case, detected suspicious activity on a small number of accounts. The kind of hack that took place was a method known as 'credential-stuffing'. This hack uses a list of passwords taken from other websites that have been circulated online e.g. on hacking groups / on the dark web. This method relies on people using the same password for multiple websites. Camelot has said that it has directly contacted the customers whose accounts had been affected and all of the affected accounts have now been suspended. The company has also advised all 10.5 million National Lottery players to change the password on their online accounts. Back in November 2016, Camelot announced that it believed that as many as 26,500 online National Lottery accounts had been hacked using login details that had been stolen from elsewhere (e.g. a list of stolen passwords circulated online). At the time, Camelot said that it believed that suspicious activity appeared to have taken place in fewer than 50 of the hacked accounts. Camelot re-assured customers by saying that it didn’t hold full debit card or bank account details in the online accounts for National Lottery player, and no money had been taken or deposited. Although, as in the latest hack, Camelot was quick to submit a breach report to The Information Commissioner's Office, some critics voiced concerns and suspicion that there could have been some kind of deficiency in the system to allow 26,500 correct logins while saying that the details were not taken from Camelot’s servers. If you have an online National Lottery account, change the password as soon as possible. This story illustrates one of the main dangers of using the same passwords for multiple accounts. If there is a hack and theft of your login details from just one website, you could be in danger of falling victim to cyber-crime as those details are circulateing among other hackers and used for credential-stuffing attacks. The advice is, therefore, to change your passwords regularly and avoid using the same password for multiple accounts. This story is also a reminder that businesses have a legal responsibility to protect customer data, and this responsibility will be enforced even more rigorously, and with the threat of very large fines for non-compliance with the introduction of GDPR in May this year. One positive aspect of this story is that Camelot appear to have been proactive in their monitoring of customer account activity, were quick to inform the Information Commissioner's Office, publicly announced the hack, and gave clear advice to customers (unlike many other companies). This story is also an example of why having a good Disaster Recovery Plan is important. London-based data analytics company, Cambridge Analytica, which was once headed by Trump’s key adviser Steve Bannon, has been accused of illegally harvesting 50 million Facebook profiles in early 2014 in order to build a software program that could predict and use personalised political adverts to influence choices at the ballot box in the last U.S. election. Cambridge Analytica is already the subject of two inquiries in the UK. The first is by the Electoral Commission which is looking into the company’s possible role in the EU referendum. The second is by the Information Commissioner's Office which is looking into the company’s possible use of data analytics for political purposes. Also, the company is the subject of an investigation in the US over possible Trump-Russia collusion. It has been reported that Elizabeth Denham, the head of Britain’s Information Commission, is seeking a warrant to search the offices of consultancy Cambridge Analytica over the breach. Facebook has, of course, faced strong criticism over the breach, one tangible result of which has been nearly $40 billion off its market value as Facebook’s investors have become worried that damage to the reputation of the social media giant’s network will deter users and advertisers. In a BBC radio report, the ICO’s chief Elizabeth Denhan said that the ICO is looking at whether or not Facebook secured and safeguarded personal information on its platform, and whether Facebook, when they found out about the loss of the data, acted robustly and whether or not people were informed. Also, the head of Britain’s cross-party Media parliamentary committee is reported to have written to Facebook’s Mark Zuckerberg asking for more information by Monday 26 March, and in Dublin, Ireland’s privacy watchdog (the lead regulator for Facebook in the European Union) has said that it is following up with Facebook to clarify its oversight. It has been reported that the data was harvested from Facebook by an app on Facebook’s platform, created by British academic, Aleksander Kogan, that was downloaded by 270,000 people, providing access to their own and their friends’ personal data too. It has been reported that Kogan says he changed the terms and conditions of his personality-test app on Facebook from academic to commercial part way through the project. Facebook has said that Kogan violated its policies by passing the data to Cambridge Analytica, and Facebook was told that the data has since been destroyed, and has made its own efforts to obtain proof that it has been destroyed. This latest incident sees Facebook back in hot water following on from reports of how its platform was used by outside interests for posts and adverts that were designed to influence the result of the US election. The share price has been impacted significantly this week. There are so many worrying facets to this story, not least that personal data may not have been protected well enough to allow it to be harvested by an app on the platform, and then passed to a third-party that allegedly used it to create a tool to influence elections. Also, it has been several years since the breach happened, and news of the breach has only just been released. Some industry insiders have described the incident as ‘horrifying’, and many may rightfully believe that Facebook has a lot of questions to answer, as does Cambridge Analytica. 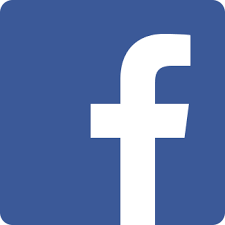 Facebook will be painfully aware that if the ICO’s investigations find Facebook to be at fault, the social media giant could be looking at a fine of up to 500,000 pounds ($700,000), and with the introduction of GDPR in May, it could be facing fines of up to 4% of its global turnover. Also, Facebook is a major advertising platform for businesses, and some marketing commentators have pointed to the fact that scrutiny of Facebook over this latest issue could impact Facebook’s ability to gather and deploy data for ad targeting, which has been vital to ad efficacy and budget growth. All the recent bad publicity about Facebook has seen the number of daily users in the United States and Canada fall for the first time in its history, dipping in the company’s home market by 700,000 from a quarter earlier to 184 million. We haven’t heard the half of this story yet, and it remains to be seen what information will be released in the coming days and weeks and as the result of numerous investigations. The issue has been known about for some time and has been brought into sharper focus with the popularity of voice-activated digital assistants like Apple’s Siri, or Amazon’s Alexa, or Google Home. According to Linguistics experts, the key problem is that females have higher pitched voices than males, and they tend to be quieter and sound more “breathy” when they talk. With speech for example, Mean Fundamental Frequency (Mean FO) can be expressed as a number around which vocal tones are spread. The FO for men is around 120Hz, but for women it is much higher at 200Hz. Also, another problem for voice recognition systems comes when they try to process words and sounds into MFCCs (Mel-frequency cepstral coefficients). The voices of women are known to give a less robust acoustic signal, and this signal can be easily masked by noise. These two challenges also make things more difficult for speech recognition systems. 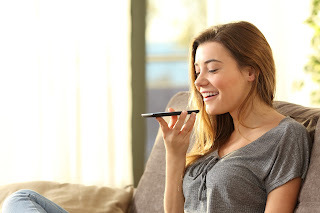 Since speech recognition systems also rely on an AI element, they require training to become more used to recognising certain vocal characteristics. Linguistics experts, therefore, also believe that a lack of diverse training examples of the speech of women may also be a contributing factor to the problems encountered by current voice recognition systems. Some commentators are, therefore, predicting possible worsening gender biases problems with voice recognition systems if these issues are not tackled. Experts have pointed out the importance of training systems using equal proportions of men and women to avoid the problem of them being very good at recognising male data and very bad at recognizing female data. The same experts have also highlighted potential biases based on ethnicity if voice recognition systems aren’t trained using a wide ethnic as well as gender mix. With digital assistants now in the workplace in computer systems (e.g. Alexa for Business),and with AI bots being used e.g. to handle customer service systems (with a voice element), it’s important that women and / or certain ethnic groups are not at a disadvantage when using the systems. The problem is known about now, and companies should, therefore, be taking action to make sure that voice recognition systems work well for all demographics, and deliver equality as part of their value. The AI The chatbot, called 'DoNotPay' (originally launched in March 2016 by British student, Joshua Browder), made famous for providing legal advice that led to a reported 375,000 claims against parking tickets, was then modified so that it could automatically sue Equifax for $15,000 per claim in the wake of a hack and data breach. The latest McAfee Labs threat report shows what an emerging and dangerous threat the exploiting of the PowerShell scripting language has become. Taking the last quarter of 2017, the adoption of fileless malware via Microsoft PowerShell showed a 432% surge. Microsoft PowerShell is a scripting language that’s built-in to the Windows OS. Its main legitimate uses include running background commands, checking services installed on the system, terminating processes, and the managing configurations of systems and servers. The Microsoft PowerShell scripting language provides access to your computer’s inner core, including unrestricted access to Windows APIs. Also, because it is a legitimate part of your computer’s Operating System, any commands it executes are usually ignored by security software, and it provides no signature for antivirus software to detect. 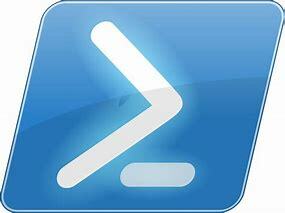 Another crucial aspect of Powershell is that it can run remotely through WinRM. For these reasons, it has become an ideal route for cyber-criminals. A hack via Powershell involves attackers getting to PowerShell remotely through WinRM, enabling them to get through Windows Firewall, run more PowerShell scripts complete with admin control. Even if WinRM is turned off, it can be turned on remotely through WMI using a single line of code. Also, through Powershell, once an attacker obtains a username and password for one computer, the path to complete compromise of the whole enterprise system is laid open. It has been reported that PowerShell malware arrives via spam email, and it is the embedded code in the email that contains the PowerShell commands. This code usually contains instructions to download another payload to carry out the primary malicious activity. The McAfee Threat report shows how recent attacks have used Powershell to download malware of the Bartallex (.bat and .vbs files) and Dridex families onto the systems of victims in what are now popularly known as fileless malware attacks. 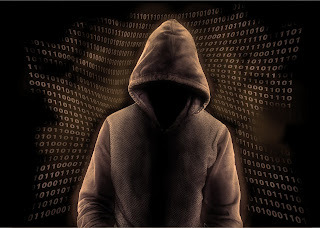 The combination of PowerShell providing legitimate access to computer’s and its subsequent ability to be ignored by security software, as well as the ability to run it remotely through WinRM make it a low risk, low cost and potentially and potentially high return tactic for cyber-criminals. This means that fileless hacks and fileless malware attacks are now a serious and present risk to businesses and organisations of all kinds. The stealth factor, plus the fact that it goes under the radar of normal antivirus software makes detection very difficult. The one clear chance to stop it appears to be not opening the malicious email that contains the code that begins the attack. Companies and organisations need to make sure that all staff are trained to recognise and resist social engineering tactics, and to be made aware of the risk of downloading and installing applications that they do not understand or trust. connectivity in rural parts of the UK could add between £12bn and £26.4bn annually to the British economy. The study, which was commissioned by Amazon and conducted by think tanks Rural England and Scotland’s Rural College (SRUC), showed that the rural economy is already worth £299bn in gross value add (GVA) to the national economy. The report argues that a government-led digital rural strategy coupled with investment could unlock the potential of businesses in rural areas, and could increase business turnover by £15bn. The report found that business owners in rural communities have many of the same concerns as larger businesses in more built-up areas. For example, four in five rural business owners saw digital tools and services as being important to their growth potential, and better access to cloud computing as being the biggest driver for their future growth. Other perceived growth catalysts in the reports were by 5G mobile networks (54%), the IoT (47%), and machine learning and artificial intelligence (AI) (26%). Export businesses in the retail, tourism, and hospitality industries also identified e-commerce tools as being potential growth drivers. The main perceived challenges to growth in rural businesses were identified in the report as being access to broadband and other forms of connectivity, and skills shortages (52%) e.g. recruiting people with appropriate skills, or retraining existing workers. The establishment of Digital Enterprise Hubs in rural towns to help (small) businesses with connectivity, workspace and training, and collaboration between employees and education / training or re-training providers. The setting up of a single information portal to streamline digital support services. The setting up of a single information portal and local directories to give guidance to businesses on digital resources. Encouraging local, rural businesses that are already lucky enough to have and use superfast broadband services to encourage their peers to do the same. 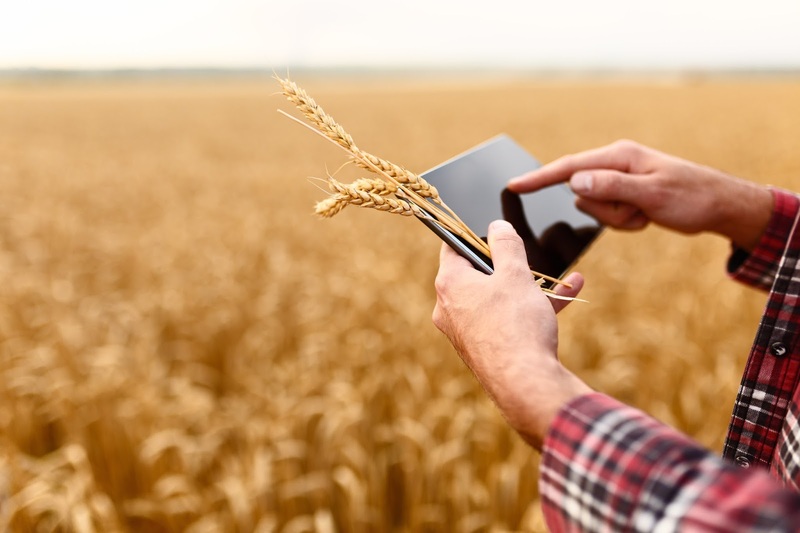 Prioritising investment in connectivity and digital tools for rural businesses. Making support for digital growth a key objective in future rural business support programmes. The government encouraging large technology-driven firms to implement policies focused on digital adoption in rural areas that provide support for smaller businesses. 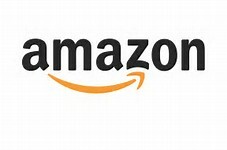 If you run a business in a rural area, you are likely to recognise the challenges outlined in the report and to welcome many of the ‘quick win’ recommendations that Amazon has made, plus the fact that this report has put rural digital business challenges back in the media spotlight. Given a high priority, and the right level of government support and investment, there is no doubt that early-adopter rural businesses could be big contributors to the UK economy, and could compete with global competitors. Many commentators, however, see this vision as still being some way off, partly because of the time that it will take to get high-speed broadband connectivity to all rural areas, let alone towns in the UK. For example, despite full fibre broadband pilots already being operated as part of the UK’s National Productivity Investment Fund, the reality is that the UK may still only actually have 7% full fibre coverage by 2020. In a new trial involving a small number of users in the UK, Facebook has said that it will be testing the targeting of adverts based on user’s specific political and religious beliefs. According to Facebook, the trial will help the social media platform to process and manage its customer data, so that it will be in a better position to ensure compliance with GDPR when it comes into force in May this year. The severity of the fines associated with the enforcement of GDPR for large companies such as Facebook e.g. a fine for a breach of up to €20 million or 4% of their global annual turnover, whichever is greater, is likely to be a big motivator behind a trial that could improve how Facebook processes and stores data. How Could Targeting Adverts This Way Be Of Help? The trial appears to be using adverts for consenting participants to focus on testing and improving how the company handles the required greater consent from data subjects that GDPR will bring, and to ensure that sensitive data is better protected. One other important result of the trial will be to enable the testing of facial recognition. Facebook is exploring how it can successfully give users an opt-in for facial recognition, which will form part of a measure to stop online impersonations by informing users whenever their faces have been used elsewhere on the site. It has been reported that the trial will work by first asking a number of UK users for permission to allow advertisers to target them on the basis of their political and religious beliefs, and their listed interests. It is understood that Facebook will also ask users whether they are happy for their public information that identifies them (e.g. their faith and politics) to remain visible for everyone and, if permission is given, Facebook will provide an opt-in for allowing the information to be used to personalise content, and also act as one of the signals for relevant suggesting ads. This will include targeted advertising based upon things like politics, sexuality and faith. Some people have expressed fear that opting-in to elements of the trial could enable extremists to use targeted advertising for recruitment propaganda. Facebook has denied this. This story is more proof that the seriousness of the implications of GDPR is hitting home, particularly with those companies that stand to lose in a big way if they are found not to be compliant. Although the subject of targeted advertising is an emotive one that can make us feel a bit uneasy as Internet users in terms of privacy, it is at least good news that this Facebook trial could lead to better protection of our personal data by a platform that arguably knows more about us than most. With X-day now past this story should be another reminder that its time for companies everywhere to think about double-checking that their own systems and procedures will be GDPR compliant. New measures by the EU will mean that technology companies will have as little as just one hour to take down illegal and terror content, or face penalties under new legislation. The new measure, which has reportedly been met with dismay by the big tech companies such as Google and Facebook (who will arguably be most seriously affected), is focused mainly on terror-related content. The logic that because terrorist content is considered to be most harmful in the first hours of its appearance online, all companies will, therefore, be required to remove such content within only one hour from its referral, as a general rule. Other illegal content that is being targeted by the new measures includes incitement to hatred and violence, child sexual abuse material, counterfeit products and copyright infringement content. As well as the news that tech companies must remove the most serious content within one hour, the EC has also announced that any tech company that is responsible for people posting content online will have only three months from now to report back to the EU on what they were doing to meet the new targets it has set. Clearer 'notice and action' procedures. Companies should set out easy and transparent rules for notifying illegal content. These should include fast-track procedures for 'trusted flaggers'. Also, to avoid unintended removal of content which is not illegal, content providers should be informed about such decisions and have the opportunity to contest them. More efficient tools and proactive technologies. This means that companies should set out clear notification systems for users. These should include proactive tools to detect and remove illegal content, in particular for terrorism-related content and for content which does not need contextualisation to be deemed illegal, such as child sexual abuse material or counterfeited goods. Stronger safeguards to ensure rights. To ensure that decisions to remove content are accurate and well-founded, companies should put in place effective and appropriate safeguards. These should include human oversight and verification, in full respect of fundamental rights, freedom of expression and data protection rules. Special attention to small companies. The technology industry should, through voluntary arrangements, cooperate and share experiences, best practices and technological solutions, and this shared responsibility should particularly benefit smaller platforms with more limited resources and expertise. Closer cooperation with authorities. If there is evidence of a serious criminal offence or a suspicion that illegal content is posing a threat to life or safety, companies will be required to promptly inform law enforcement authorities, and EC Member States should establish the appropriate legal obligations. The recommendations are in addition to on-going work with the technology industry through voluntary initiatives to ensure that the internet is free of illegal content, and are intended to reinforce actions taken under different initiatives. 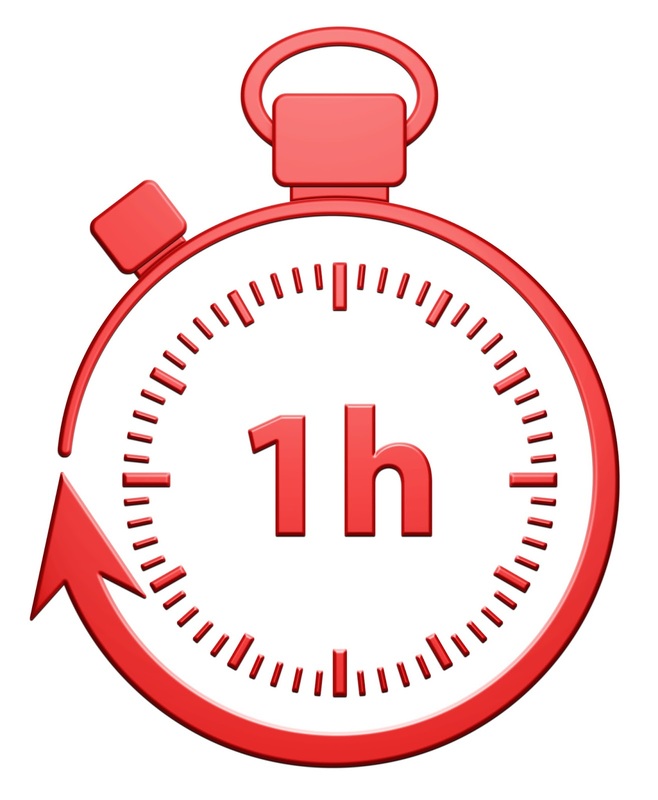 Although Facebook has said that it shares the European Commission's goal, the industry association EDiMA, (which includes Facebook, Google, and Twitter) has stressed that the one-hour turn-around time could harm the effectiveness of service providers' take-down systems rather than help. As the Vice-President for the Digital Single Market Andrus Ansip has pointed out, online platforms have become many people's main gateway to information. For this reason, and if we accept that what is illegal offline is also illegal online, many people feel that these widely used technology platfoms now have a responsibility to provide a secure environment for their users. Many businesses are advertisers on these platforms, and are likely to share a desire to rid them of illegal content. While some popular tech platforms have continued to resist what some see as too much censorship, interference, or over-regulation, the frequency and severity of terrorist attacks in Europe and the role and influence of platforms in spreading information, true or false (e.g. the US election) has given governments the fuel, impetus, and feeling of justification to try and apply more force to tech companies. The EC’s view is that the spread of illegal content online undermines the trust of citizens in the Internet and poses security threats, and the new operational measures could, along with any self-regulation, speed up the process of clearing illegal content. The scale and frequency of illegal content posting has posed serious cost and resources challenges to tech platforms in recent years. a unified home for work by forming a new partnership with Google Cloud that will integrate G-Suite in its cloud storage. 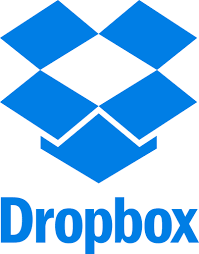 The latest partnership with Google is another way that Dropbox can fight back against some fierce competition from the likes of Microsoft. For example, Microsoft is reported to have been trying to lure users of cloud services from Box, Dropbox and Alphabet's Google Drive by giving them its competitive product ‘OneDrive for Business’ for free until their current contract expires. Microsoft will be running the promotional switching offer for the next five months. MoviePass CEO, Mitch Lowe, has caused controversy by telling the Hollywood audience at the Entertainment Finance Forum that his MoviePass app can track and gather information about users before and after their trip to the movies. MoviePass, based in New York, offers a service whereby, for a flat monthly fee ($9.95 per month), users can go and watch unlimited number of movies in cinemas, with some restrictions. It could be described as a kind of Netflix for moviegoers. According to the MoviePass CEO, the company’s app has location-tracking built-in. What some commentators have described as ‘creepy’ though is that the app can track your movements long before and after you’ve been to watch a movie. What MoviePass prefers to call ‘location-based marketing’ is reportedly being used to improve the customer’s experience of the service and create more opportunities for subscribers to enjoy all the various elements of what the company thinks make up a good movie night. The company says that by tracking customers and gathering data along the way, it can “create a full-featured movie-going experience”. The big idea is that subscribers may want refreshments before or after the movie, and may have to travel some distance to the cinema. By knowing a subscriber’s location and route, MoviePass can then, via the phone app, give the subscriber details like discounts on transportation, finding places to park nearby, coupons for nearby restaurants, and other similar opportunities. What Kind Of Data Is Gathered? According to online reporting of CEO Lowe’s speech, as well as your location, the MoviePass app is also capable of gathering “an enormous amount of information,” which includes your address, which Mr Lowe says can be used for demographic information. What MoviePass may see as a kind of personalised, helpful marketing idea, critics appear to see as a potentially dangerous invasion of privacy that could have security consequences for MoviePass subscribers. Using new technology to improve marketing and customer experiences is all very well, but the point here is that customers need to be informed exactly what happens to their data, what is collected by the app, how it’s stored and for how long. This will enable them to make an informed choice, give consent, or decline. In a time when cyber-crime and data mismanagement and theft appear to be rife, customers value their privacy and data security more than ever. Companies need to be transparent about their intentions and methods, and need to be able to show customers that they can be trusted with their valuable personal data. Also, in this case, it appeared to come as a shock about the capabilities of the app, and to some commentators, it may have appeared to be an inappropriate way and style to reveal what the app is capable of. This is likely to prompt complaints from some customers, and could harm the reputation of MoviePass. 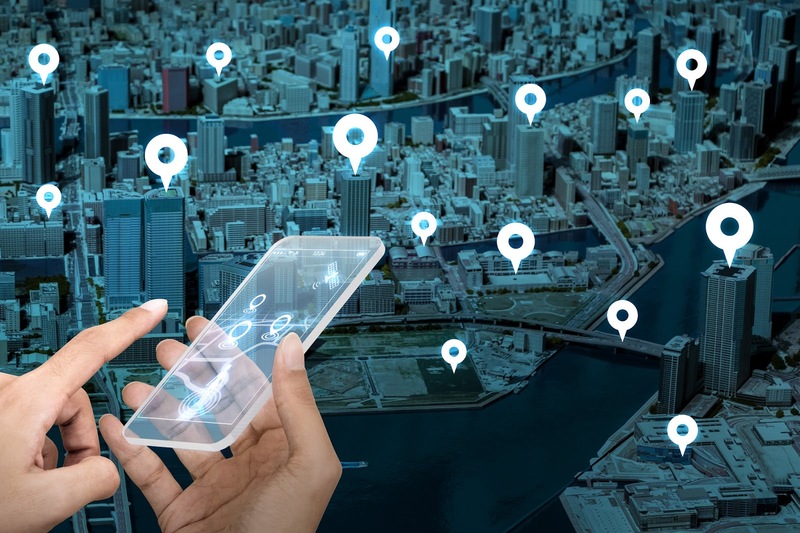 If you are worried about the security implications of apps of this kind, for example, you could try to limit location data collection by going into your phone’s app settings. One other, obvious way to avoid any problems with the app would be to avoid MoviePass for now. The introduction of GDPR in May this year is also likely to have implications for how MoviePass deals with the data of any EU citizen subscribers, as the company will need to comply with the new Regulation. is being tested in a pilot project between car-maker BMW and start-up Circulor with a view to eliminating battery minerals produced using child labour. After first being used in the financial, legal and public sectors, Blockchain is now being used by businesses and organisations around the world in many other different ways such as:Using the data on a Blockchain ledger to record the temperature of sensitive medicines being transported from manufacturers to hospitals in hot climates. The ‘incorruptible’ aspect of the Blockchain data gives a clear record of care and responsibility along the whole supply chain. Technology and employment commentators are predicting that with the already high demand for skilled and talented Data Protection Officers (DPOs), the introduction of GDPR may see businesses having to compete to recruit the right one. What’s A Data Protection Officer? A DPO’s role is essentially that of looking after any legal and ethical issues related to handling customer data. They are required to have specialist knowledge in matters relating to data and information privacy and security. What Is Demand For DPOs Like Now? According to figures from the Indeed job search site, DPO job listings posted in the UK have increased by no less than 700% over the past 18 months. That’s the equivalent of an increase from 12.7 listings per 1 million in April 2016 to 102.7 listings per 1 million in December. The huge increase in the demand for DPOs has led to a corresponding increase in the demand for GDPR training, as individuals spot a potentially lucrative career, and companies seek to bring their in-house DPOs up to speed. Some GDPR training providers have reported selling out of courses for the next six months as demand for GDPR-Ready training programs for DPOs have increased by as much as one-third. 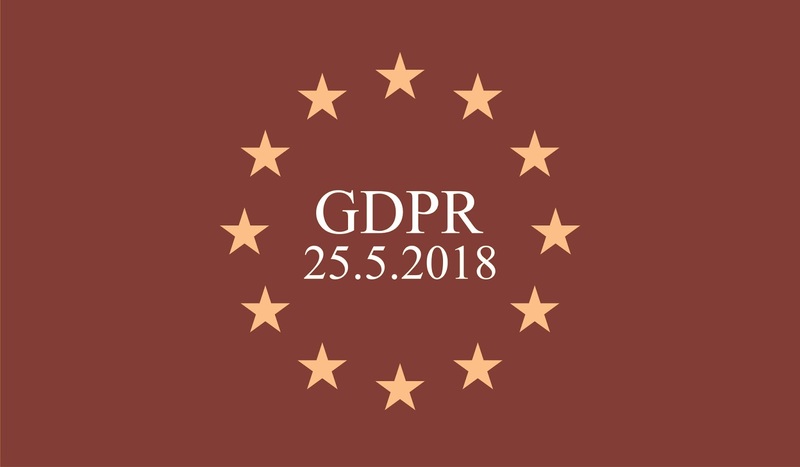 The International Association of Privacy Professionals (IAPP) estimates that, with the introduction of GDPR in May this year, 28,000 DPOs will be needed in Europe and U.S. and perhaps as many as 75,000 around the globe. 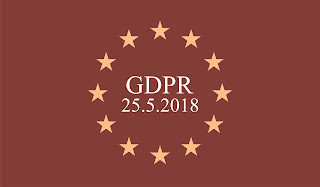 GDPR requires that companies must have a DPO to help with tasks such as data audits for compliance with privacy laws, training employees on data privacy, and to be the main point of contact in the company for European regulators. With its 99 articles, under the guidance of 6 privacy principles, General Data Protection Regulation (GDPR) is long, and complicated, and it needs as well as requires someone within the business to understand it, and how it should be practically applied. Failure to comply with GDPR, and data breaches resulting from non-compliance can bring large fines and other potentially disastrous consequences for businesses and organisations e.g. loss of customers, and damage to brand and reputation. Legal and business commentators are also predicting that companies may only want to deal with suppliers who are GDPR compliant in order to maximise their own compliance and avoid the penalties. For those who are already, or are currently training to be DPOs, the immediate future looks bright in terms of their choice of employment, the massive (and growing) demand for their services, and the bargaining power that this may give them with employers e.g. for their salary. For businesses that are already trying to get to grips with the complications and costs of complying with GDPR, and who already know that they will need somebody in the DPO’s role, they may not have anticipated the extra complication of having to compete with other businesses to get one. With the demand for good DPOs looking like continuing to out-strip supply, the situation may arise where some businesses attempt to poach DPOs from others. With X-day already past, and the introduction of GDPR just 3 months away, the clock is now ticking loudly for businesses that may not yet have given any serious thought to the role of DPO, or where to get GDPR training. It has been revealed that US authorities found out about the Spectre and Meltdown chip flaws from media reports rather than being informed directly by US computer chip manufacturer Intel. Back in January, researchers from Google's Project Zero, the Technical University of Graz in Austria and the security firm Cerberus Security in Germany, discovered that two major security flaws are present in nearly all modern processors / microchips. The hardware flaws were dubbed ‘Spectre’ and ‘Meltdown’. Meltdown affects all Intel, ARM and most other processors on the modern market. 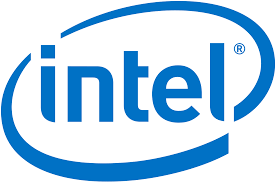 It is believed that Meltdown could affect every processor since 1995, except for Intel Itanium and Intel Atom before 2013. The flaw could, for example, leave passwords and personal data vulnerable to attacks. In this latest revelation, news has emerged that Intel didn’t inform US cyber-security officials about the flaw in its processors until after the news had been leaked to the media. Google’s parent company Alphabet has said it informed Intel, AMD and ARM about the chip flaws in June 2017, and the three semiconductor / chip manufacturers were given 90 days to fix the flaws before disclosing the discovery of the flaws and the fix to the public. According to Alphabet, and in keeping with ‘standard practice’, it had left it up to the companies to decide whether they should inform government officials about the security flaws. In response, Intel gives a slightly different version of events. According to Intel, Google Project Zero had chosen to extend the 90-day timeframe to 9 January 2018, and Intel had agreed to keep the information confidential until that date. Even though there is general agreement that the security flaws are now present in nearly all modern devices, including all iPhones, iPads and Macs, Intel has been quick to stress that there have been no known exploits to date. It is worrying that ‘standard practice’ in the industry is to be allowed to keep quiet about a security problem for 3 months from government cyber-security officials, and from the public. It is also worrying that it took journalists to uncover the problem, particularly when you consider the sheer scale of the flaws i.e. that they’re present in almost all modern processors. There have been far too many stories of large, well-known companies choosing to keep quiet as long as possible about cyber / data security risks or breaches, and these episodes all serve to undermine confidence that companies will act responsibly themselves, without the threat of new regulations and huge fines (such as those that GDPR will bring). The best advice to businesses is now to install all available patches for the flaws without delay, and to make sure that you are receiving updates for all your systems, software and devices. Regular patching is a good basic security habit to get into anyway. Research from summer 2017 (Fortinet Global Threat Landscape Report) shows that 9 out of 10 impacted businesses are being hacked through un-patched vulnerabilities, and that many of these vulnerabilities are 3 or more years old, and there are already patches available for them. The removal requests relate to a ruling by the European Union's Court of Justice in May 2014 which said that Google and other search engines can be held responsible for personal data that appears in its search engine results pages - they are considered to be ‘Data Controllers’. Google and other search engines can, therefore, be asked to remove links to some web pages that are published by third parties, and any EU citizen can ask Google to remove information about them from their search results. The statistics appear to indicate that the two most likely reasons why Google would be asked to consider de-listing URLs are when they relate to personal information being shown in social media and directory services, and when aspects of a requester's legal history from news outlets and government websites are shown in the search engine results. Facebook has faced criticism this week after news that it promoted a virtual reality shooting game set in a public train station, on its stand at a US conservatives' event. Clearly, in the light of the latest mass school shooting incident in Florida where a gunman killed 17 victims, it appeared to be a poor decision by Facebook to take the ‘Bullet Train’ game to the event. The game, which Facebook says is a free title first unveiled in 2015, and was bundled with a number of other VR demos at the event, allows the player to shoot imaginary weapons against enemies in the setting of a public train station. Adding to the weight of Facebook's criticism for the game being aired is the fact that the event was a rightwing, CPAC conference where the National Rifle Association (NRA) has promoted gun rights. It has also been reported that CPAC featured speeches attacking gun control advocates, and a much criticised call from Donald Trump to give guns to school teachers. It is darkly ironic that at a conference that had been dominated by discussions over gun control following a school shooting, delegates were then able to play a VR game which involved shooting people in a public place. News of the use of the game at the event was made public when a journalist at CPAC took to Twitter to post footage of the game being played. Facebook has since expressed regret for promoting that particular game at the conference, and has announced that it has removed Bullet Train and any other action games that include violence from the VR demo. This latest gaffe is another in series of stories in the media that have generated some bad publicity for Facebook over the last couple of weeks. For example, last week Facebook faced criticism for allegedly using registrations to 2 factor authentication as an opportunity to send out spam SMS notifications. Any requests to stop the texts were also reported to have been posted onto the user’s Facebook profile page. In the same week, a court in Belgium told Facebook to stop using tracking code to follow and record internet use by people who weren’t even Facebook users, until it complies with Belgium’s own privacy laws. Facebook has also received some very bad publicity since it released figures showing that Russia-based operatives uploaded 80,000 posts to Facebook in the last 2 years, and thereby may have been able to have influenced the outcome of the last US election. Even though this latest shoot-em-up game gaffe took place at a right-wing event, Facebook has also been quick to stress that it routinely participates in events hosted by organizations across the political spectrum. At the very least, this is an example of how it’s worth reviewing and checking every aspect of anything you’re presenting and promoting at a high profile event, coupled with a final reality-check is always worthwhile if you want to avoid any unnecessary bad publicity. This story is also a reminder that we live in an age where we are constantly connected to a worldwide news network where social media can be used to instantly broadcast any errors that companies, organisations and governments make. This story also reminds us that the activities of powerful internet companies are now under scrutiny by campaign and other interest groups, and in today’s environment, the stories of individuals rather than governments about their experiences with big internet companies can become quite powerful in keeping those companies in check and holding them to account once those stories gain momentum and mass on social media.